Configurable Embedded RISC Processor IP eSi-RISC is a highly configurable microprocessor architecture for embedded systems, that scales across a wide range of applications. The RISC IP core has been silicon proven in a number of ASIC and FPGA technologies.... architecture (embedded processor bus structure, on-chip memory, and peripherals) that combines the advantages of ASIC integration with the flexibility of PLDs. 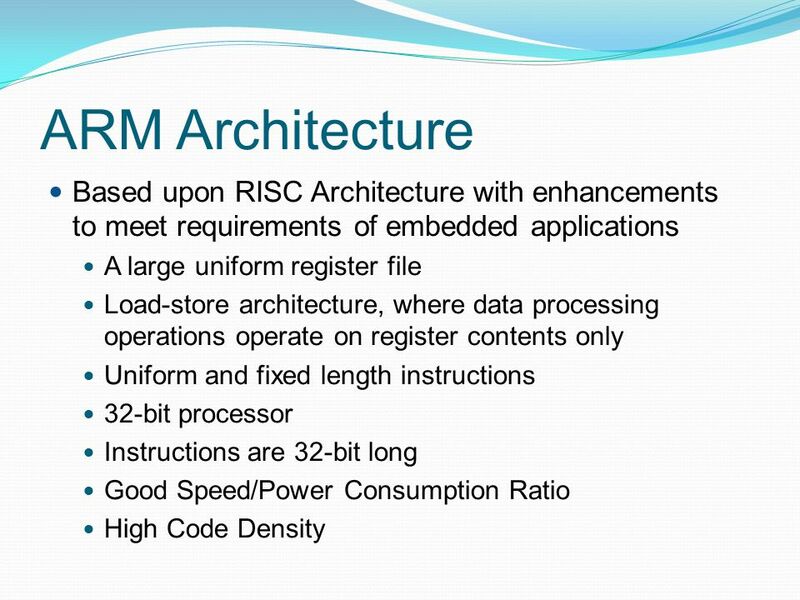 This remaining area in a RISC architecture can be used for other components, such as on-chip caches an d larger register files by which the processor's performance can be improved. We extended general-purpose RISC processor architecture and developed a new RISC core, Casablanca II, for supporting real-time processing in embedded systems.